I really can't lay on my sofa anymore. I just seem to be falling asleep whenever. It can be the middle of the day and it can catch me. Anyways, the day has come that we all have been waiting for. The crew has linked up. 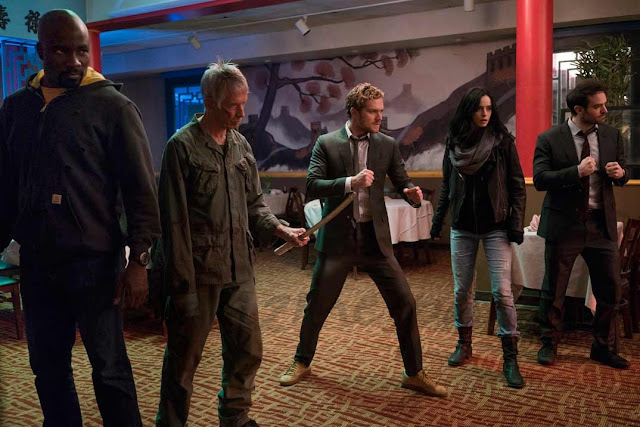 The Defenders is here. So far I have watched three episodes. I like the way it was done so far. They start with (Spoilers, duh). They start with Luke getting freed from jail with the help of Foggy. I thought that it was about to be lit. I just knew that Daredevil was waiting at the car or something. Nah, that wasn't the case. Anyways. The show spends the first episode as if it was the first of the new season of each. So maybe we skipping the setup episode that comes with new seasons when the new seasons of each show come back. Which would be amazing, helps get to the action faster. I'm loving what I have seen so far. It's shaping up to be what we all dreamed of. When that Run The Jewels start playing, that's when I lost it. That's all I will say. The only problem I have, it's only eight episodes. 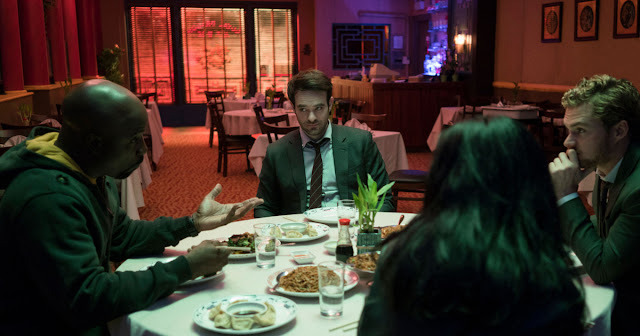 Let me know on Twitter/Instagram what you think about The Defenders.